Beauty Bliss Cosmetics: Does Mineral Makeup Go Bad? Does Mineral Makeup Go Bad? One of the caveats of using makeup is making sure you don't use expired makeup. Doing so can result in mild irritation or inflamed skin all the way to extreme reactions like infections of the skin. Mineral makeup and traditional cosmetics differ in one very important way; their ingredients. Traditional cosmetics are comprised of reactive ingredients. Simply, these ingredients provide food for bacteria. Bacteria is found in the air, in water and even on our skin. Fruit and nut oils, fruit pulp and even plant extracts can be lovely little buffets for microorganisms. Additionally, reactive ingredients break down over time and go rancid. This is what often causes the strange smell too-old cosmetics get. Preservatives are absolutely necessary in these products to keep them safe and sanitary. The most common are parabens, which you can find on almost any beauty product label. Mineral makeup (in general) is comprised only of inert ingredients. These raw powders do not have any way to support bacterial life. In short, bacteria starve. 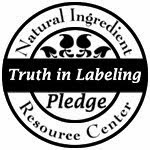 There is no need for preservatives because mineral cosmetics don't have a "shelf life". Using mineral makeup allows you to avoid synthetic, irritating and potentially toxic ingredients found in makeup today. You are reducing your chances of skin problems by making this one small change. Additionally, people with chemical sensitivities and allergies may find mineral makeup reduces their symptoms. 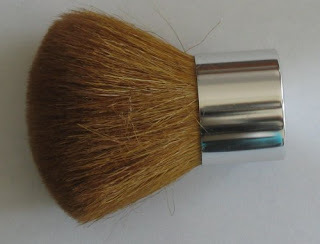 Just because mineral makeup is not a good host for bacteria doesn't mean the same for your makeup brushes and sponges. The built up facial oils, moisturizers, dirt and topical creams do make a happier habitat for bacteria. To avoid any potential problems wash your brushes at least once a month, once a week if you use topical medications or have severely oily and acne prone skin. Also, wash your brushes more frequently when you are sick to avoid any cross-contamination. These cleaning tips are suitable for both natural and synthetic bristles. To clean your brushes, wash in warm water with mild soap (I like to use baby shampoo) and rinse until the water running from the bristles is clear. Then wrap the bristles in an absorbent towel and squeeze the excess water out. Allow to dry flat, with the heads hanging off the edge of the counter to avoid flattening them. Most brushes require one day to dry fully but more dense brushes, like kabuki, may need more time. Then store in an upright position (heads up). Alternatively, you may use a professional brush cleaner like JAPONESQUE Makeup Brush Cleaner, which is good for gently and thoroughly cleaning your brushes. When choosing a brush cleaner make sure it is not alcohol based, which will dry out the bristles and destroy your brush over time. 1. Wring or twist your brush heads to dry them. This will break the bristles and shorten the lifespan and effectiveness of your brush. 2. Use a hairdryer to dry them. The hot air will strip the natural oils off the bristles and they will become brittle and break off. 3. Splay the bristles when drying. This, like wringing or twisting them, will cause the bristles to break and may ultimately damage the shape of your brush. 4. Dry your brushes upright. Water will run into the ferrule and handle and cause glue to erode, wood handles to crack and rust to occur on the ferrule. 5. Use alcohol to clean your brushes. Alcohol will strip the natural oils and cause bristles to break. Mineral makeup does not go bad because it is inert but it is important to have a regular cleaning schedule for your makeup brushes anyway.